Over the past five decades, Concern Worldwide has worked with hundreds of millions of people facing conflict, natural disaster, hunger, and chronic poverty. 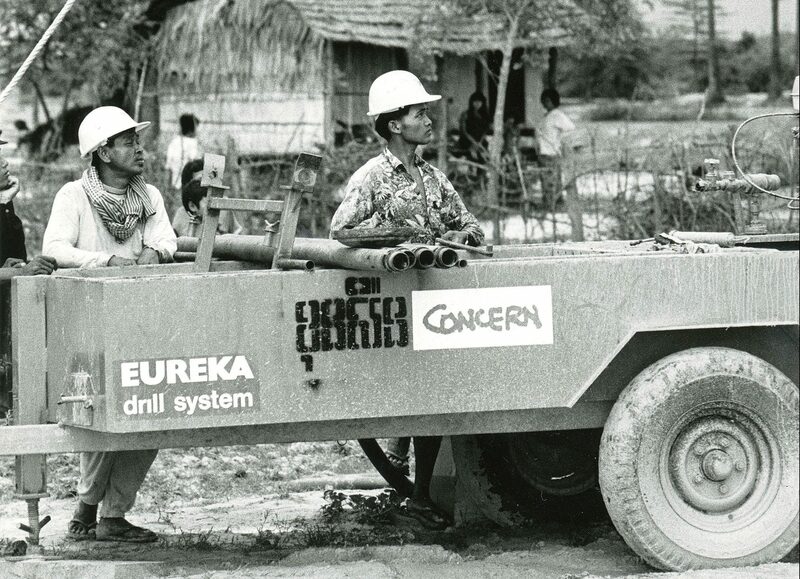 To mark the milestone of our 50th anniversary, here is a collection of firsthand accounts of some seminal moments and key programs from 50 years of work, written by the Concern staff who were there. 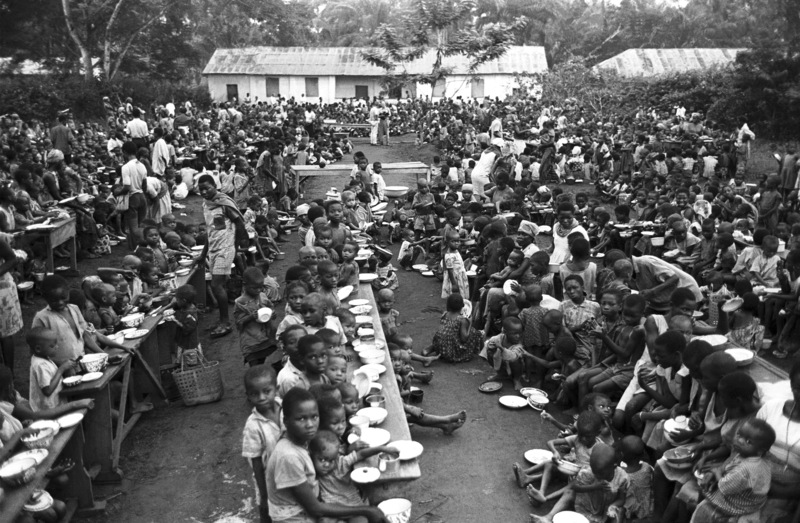 “Concern was founded in response to the famine in Biafra, caused by a blockade. Fr. Raymond Kennedy (my brother) hitched a lift on an arms flight into a secret jungle airstrip in Biafra. On his return, he organized a charter flight of newsmen into the same airstrip. The world was horrified to learn of the war and the rapidly developing famine. A meeting in the home I shared with my wife, Kay, led to the start of Africa Concern. They launched an S O S appeal to raise £100,000 to ‘Send One Ship’ of food and medicines to be airlifted in at night to the same secret airstrip. Over the next two years, £3.5Mn was raised, (€70Mn today) enabling 11,000 tons of humanitarian supplies to be sent in 4 chartered vessels. The MV Columcille, a 500-ton ship bought by Africa Concern and sent with an Irish crew to aid the relief effort on both sides of the conflict. – Dominic MacSorley, CEO Concern Worldwide. “Concern’s Cambodia story began in the aftermath of the 1974 – 1979 genocide. On October 19, 1979, Thai Prime Minister Kriangsak Chamanan enacted an “open door” policy which permitted Cambodian refugees to cross the border safely and to reside in specific locations. To avert a massive humanitarian crisis, Concern and many others responded. I arrived in 1982 to help manage Concern’s response. We worked in a number of camps, including Site 2, the largest, and Site 8. Although it was controversial, we helped people on both sides of the conflict. Ultimately, the UN brokered a peace agreement in 1992, which mandated that the 300,000 refugees remaining in Thailand would be bused back to Cambodia in time for the elections. Concern was tasked with preparing people to return, building two of the five reception centers inside Cambodia, rehousing and resettling refugees back in their home villages, working with HALO Trust to clear minefields, and setting up a pioneering micro-finance initiative. 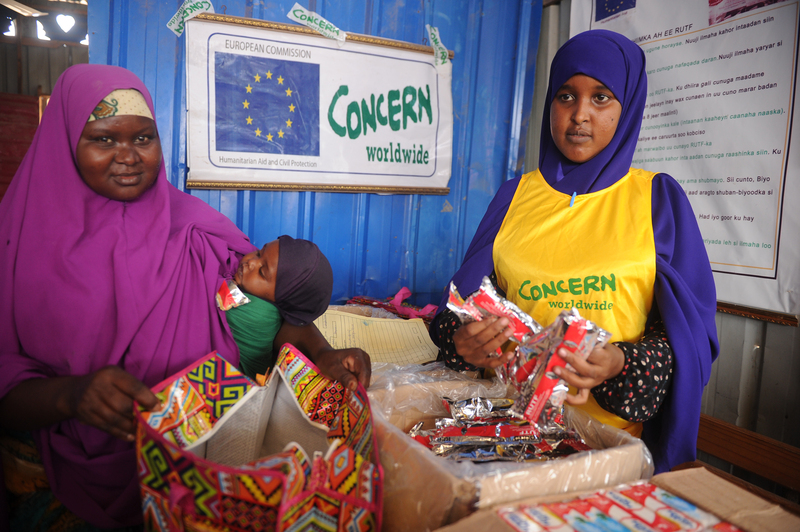 “Nearly twenty years ago, Concern started its Child Survival programs with essential support from the United States Agency for International Development (USAID). We broke the mold of the traditional healthcare models. Instead of relying on services provided by health clinics, Concern worked with local partners, ministries of health, and trained community volunteers to bring basic health care into homes and work with traditional providers to achieve a better standard of care. Concern’s innovative Child Survival programs grew from serving 21,000 people in targeted communities in Bangladesh in 1998, to impacting the lives of more than three million people across Bangladesh, Burundi, Haiti, Kenya, Niger, Rwanda, and Sierra Leone. An earthquake-damaged building in Port au Prince, Haiti. Photograph: Brenda Fitzsimons The Irish Times. – Ed Kenney, Vice President for Communications, Concern Worldwide US. 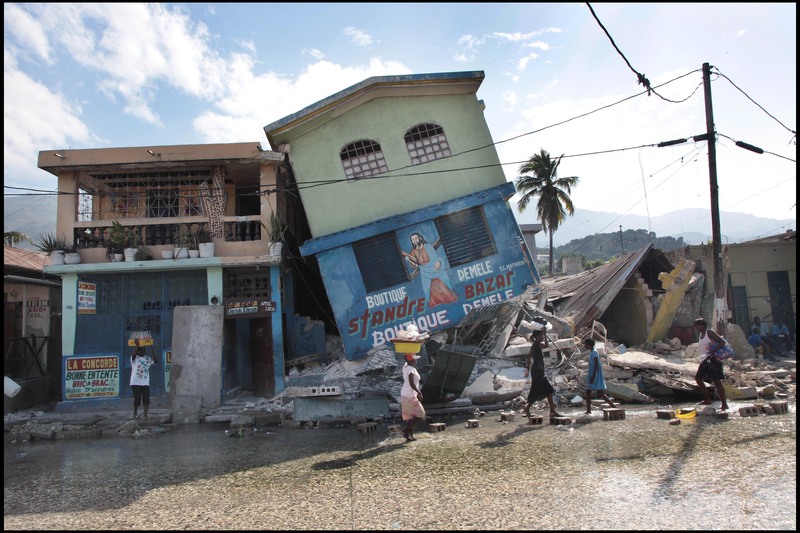 “At 4:53 pm on January 12, 2010, a massive 7.0 magnitude earthquake struck Haiti. It was a country already handicapped by crippling poverty and poor infrastructure, and the human and economic toll of the earthquake was immense: more than 220,000 people were killed and another 1.5 million were left homeless. Within 48 hours of the earthquake, our colleagues were already rolling out one of the largest emergency responses in our history, delivering lifesaving humanitarian assistance that included water and sanitation, shelter, and health and nutrition services. 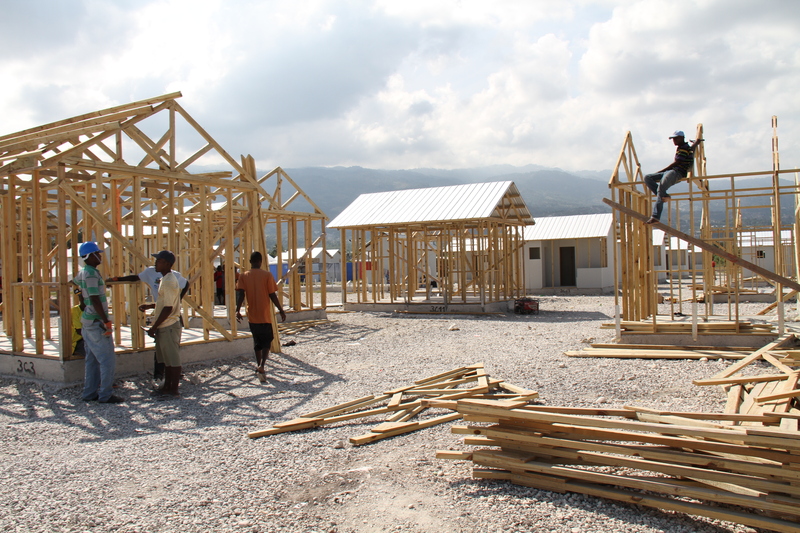 The Haiti response embodied the best of Concern, as we stayed with communities through recovery and rebuilding: stepping forward to build the fist temporary shelter site at Tabarre Issa; pioneering, with partners, the ‘Return To Neighborhoods’ program that helped thousands move from camps into safe, secure housing; again working with partners to help transform the community of Grand Ravine, home to some 20,000 people, building critical infrastructure, providing cash-for-work and livelihoods training, and working to build peace and community ownership. 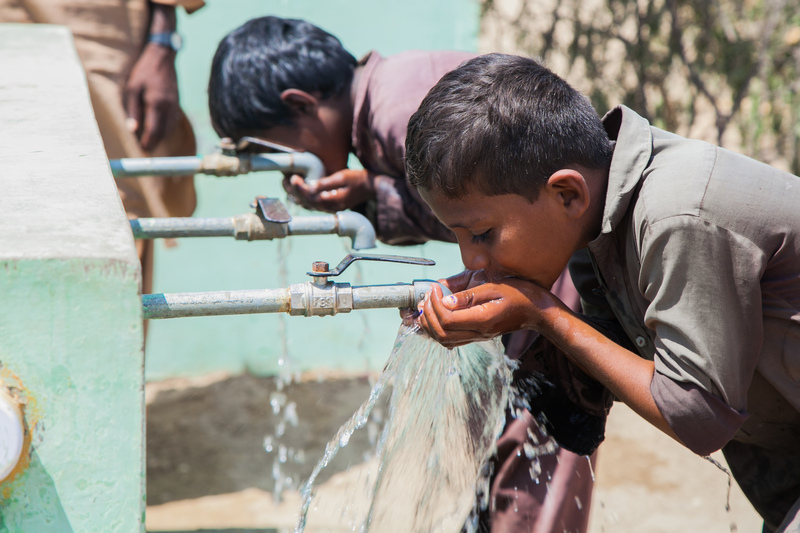 Children from Satla Bheel village enjoy drinking water from the water plant system installed by Concern. Photo: Black Box Sounds/ Concern Worldwide. – Mubashir Ahmed, Concern Country Director, Pakistan. “Concern was first awarded the RAPID Fund by the US government’s Office of Foreign Disaster Assistance (OFDA) in 2009. It’s an innovative program that provides funds/support to organizations through a competitive but quick mechanism in the immediate aftermath of disasters. Over the past decade, Concern has reached over 5 million beneficiaries in Pakistan with a budget of over $70 million to date. We have successfully implemented 235 projects across 51 districts – responding to conflict-induced displacement, floods, drought, and earthquakes. 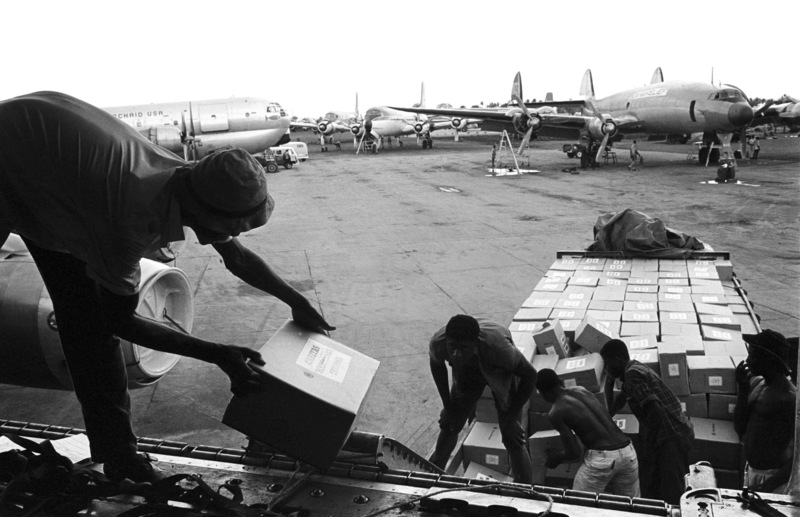 RAPID has allowed Concern to respond timely to the critical humanitarian needs. An international study found that RAPID has the shortest processing time for humanitarian response programs and its good practices in sub-awarding to local NGOs are highlighted as a strength. Importantly, Concern is also using the fund to build local disaster management and response capacities through over 100 local organizations, as well as disaster management authorities. 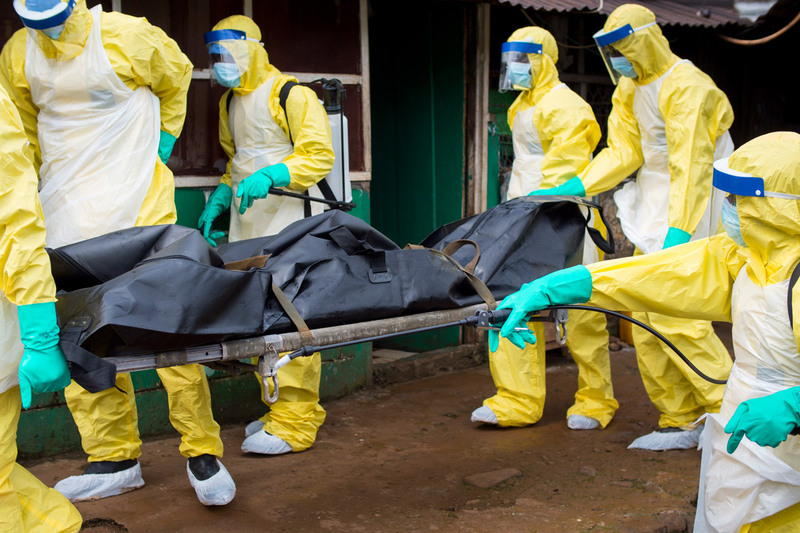 Members of Burial Team 7 remove the body of a 44-year-old woman from her home in Freetown. It is suspected that she died of Ebola. Photo: Kieran McConville. “Concern played a key role during the Ebola outbreak in Sierra Leone in 2014-2016. We focused on both prevention and treatment. 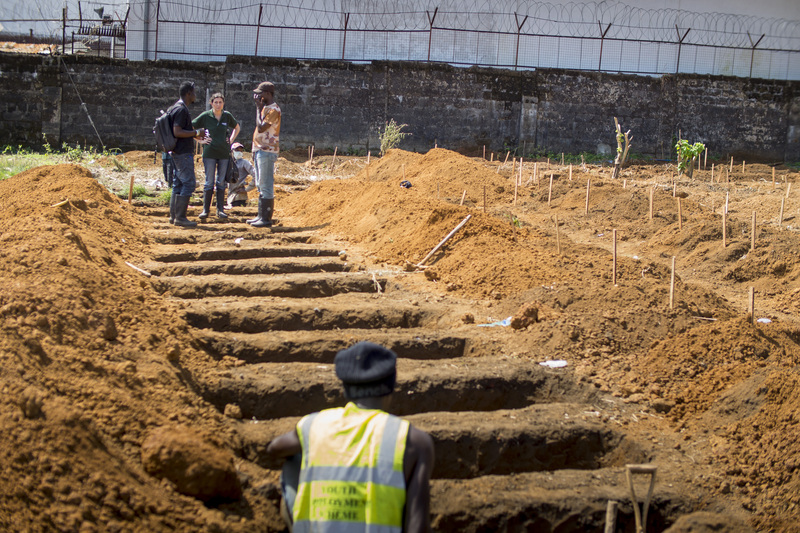 This included raising awareness, infection prevention, treating patients at Ebola community centers, tracing outbreaks and managing safe and dignified burials. Integral to the success of Concern’s intervention was teamwork – everyone felt part of something important and every team member was committed to play their part in the response and to go the extra mile when needed. – Tom Arnold, CEO, Concern Worldwide, 2001-2013. “One of Concern’s most important contributions to human welfare over its 50 years of existence has been the development of a new approach to dealing with severe acute malnutrition. During the 1990s, Dr. Steve Collins of Valid International had worked with Concern to treat severely malnourished children. Back then, the standard approach was to treat children in therapeutic health centers and assist their gradual recovery. We tried something different – a new ready-to-use therapeutic food (RUTF.) This allowed parents to treat their children at home and in their local communities. 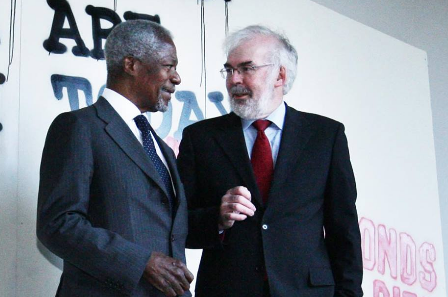 Former Concern CEO, Tom Arnold, with former Secretary General of the UN, Kofi Annan. Concern tested the new approach in three countries. The results showed that the new approach yielded a reduction in child mortality levels and an increase in the proportion of the population which could be covered in a crisis situation. The drive to end extreme poverty has produced amazing results over the last 50 years, positively impacting the lives of hundreds of millions of people across the world. To those who have taken part in the fight, we salute you – and vow to work harder and smarter than ever before to make the vision a reality.